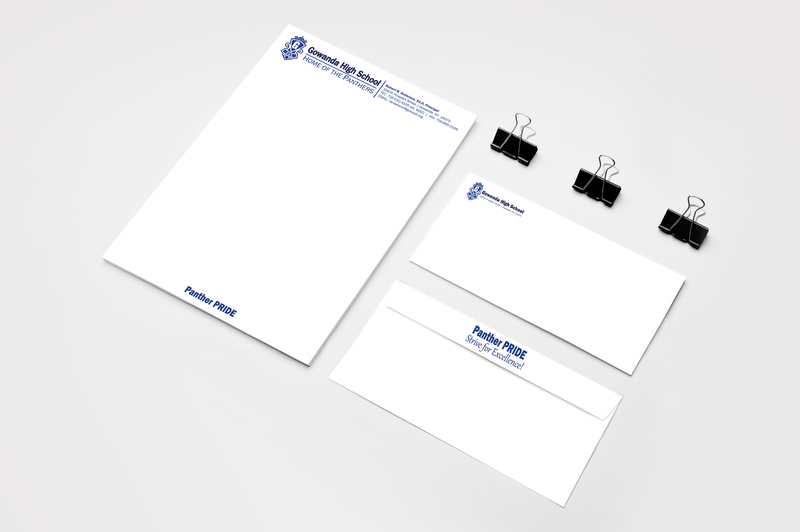 Letterhead and Envelope project for a local high school. Letterhead printed on white linen paper stock for the high school stationery. Envelopes has matching look with slogan on the back flap.